The Beginner’s Guide To Glamping - In years gone by, there were essentially two kinds of camping. One sort involved going out into the wilds and communing with nature. The other sort was a low-budget holiday on a dedicated campsite, which became a staple of English comedy in the post-war years, in particular the “Carry On” films. With the arrival of affordable air travel and package holidays this type of camping holiday fell out of favour. Now, however, it’s back and better than ever. 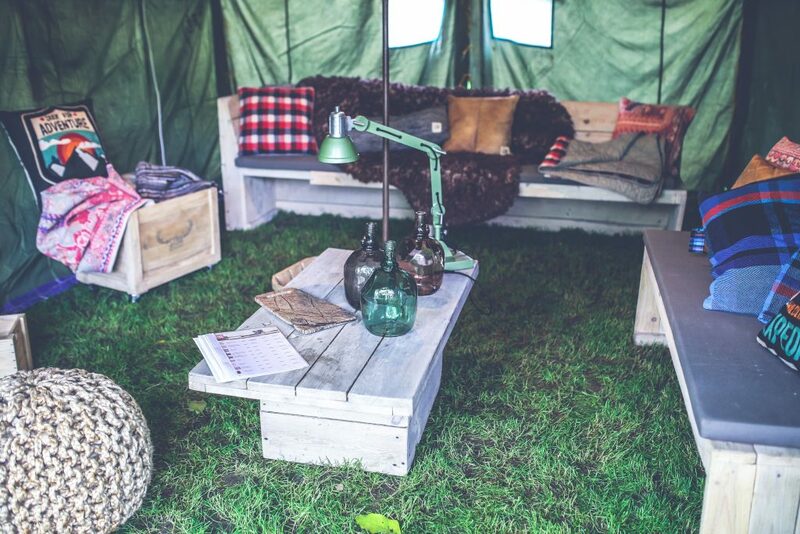 Whether it’s young adults heading to festivals in style, families looking for a way to entertain children without stressing the adults, or older people looking to explore the world in comfort, glamping is a great way to enjoy comfort on a budget. Here are three key tips to make the most of the experience. The popularity of glamping has led to a huge growth in glamping sites and in businesses which can offer support to glampers. This means that there is something to suit every budget, the trick is to do your homework and make sure that you pick the most appropriate options for your needs. In particular check what is and is not included as part of the basic package. Those looking at glamping as a way to include the family dog on a holiday should double-check with the site that dogs are allowed. In many cases they are, but you’ll want to make sure before you turn up. If you’re planning on glamping abroad with your pet, you will need to plan well in advance. To avoid the distress (and expense) of quarantine, your pet will need its own passport, which requires proof of relevant vaccinations. This can take significant time to organize. The once-ubiquitous Frame or Ridge tent has now given way to a huge range of options. There are now supersize tents, which are essentially canvas houses. Those with children may prefer this option as these tents can be sub-dividing into rooms, meaning parents and children can have separate sleeping areas. Yurts and teepees have also become popular along with their close cousins the bell tent. Their shape helps maximize the amount of usable living space. Pop-up tents may be an excellent choice for those holidaying alone or as a couple. They tend to be smaller than tents which require assembly, but can still offer more than adequate space for one or two people. When thinking about buying a tent, remember to think about how much space you will need for your equipment. Glamping can be as simple or elaborate as you want it to be, but you don’t want to be cramped. While campers stumbling around in the dark may have been the stuff of classic comedy, it’s no fun in real life. Likewise struggling to light a cooking fire or stove in the cold and wet is also an experience most holidaymakers would prefer to avoid. Fortunately today’s glampers have plenty of portable options. Solar-powered lights and heaters are both portable and environmentally-friendly and will generally work perfectly well in the British climate, especially in the warmer months. Those who prefer not to rely on the sun can opt for alternative sources of power, particularly since glamping sites generally come well-equipped with electrical power points. If you’re looking for somewhere relaxing and pretty, then a garden campsite might suit you down to the ground! Pitch your tent in a field of bluebells or look for falcons and owls with the children. 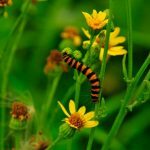 These campsites are off the beaten track and should give you an opportunity to stargaze and to go back to nature, as you can leave technology behind and enjoy the ‘real deal’ of nature. If summer means the beach and camping to you, then why not combine them both? 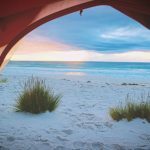 Whether you are looking closer to home, or somewhere a little European flair, we take a look at some great campsites with beaches on their doorstep.